analysis Enterprise IT analyst firm Gartner has warned that large, monolithic and heavily customised in-house enterprise resource planning systems will be relegated to the status of “legacy ERP” over the next several years, as smaller, nimbler and often cloud computing-based alternatives eat the lunch of this old mainstay of the IT application portfolio. Gartner said the ERP suite was being deconstructed into postmodern ERP that will result in a more federated, loosely coupled ERP environment with much of the functionality sourced as cloud services or via business process outsourcers. Kyte said that so many business executives have expressed real concern about the lack of flexibility in their business applications portfolio that Gartner now defines legacy as: “any system that is not sufficiently flexible to meet changing business needs.” Under this definition, heavily customised ERP implementations are “very much at the forefront of the next wave of legacy systems”. 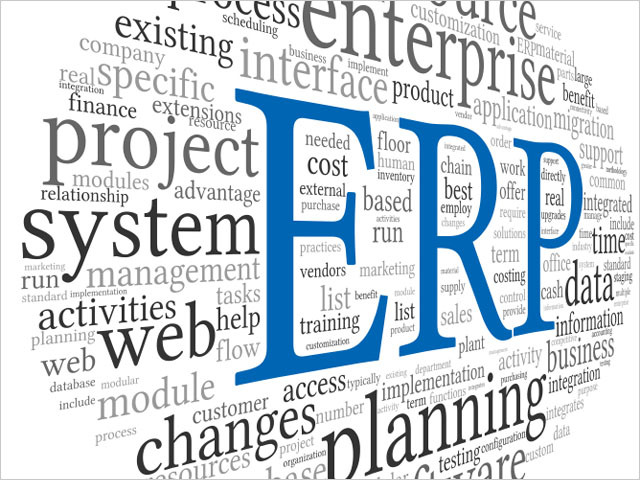 While current ERP implementations are not going to vanish overnight, they will need to adapt, according to Gartner. The impact of specialist cloud-based point solutions, combined with very strong growth in business process outsourcing, will provide “ample alternatives for business users frustrated by inflexible and expensive ERP modules”. Over time, the current heavily customised ERP implementations will be rearchitected to focus on “systems of record” functionalities — which should require little customisation — while the differentiating processes and innovation activities will use alternative delivery models that are integrated with the ERP system of record capabilities. Gartner also made two substantive ERP predictions to add to its analysis, stating that by 2018, at least 30 percent of service-centric companies will move the majority of their ERP applications to the cloud, and that by 2017, 70 percent of organisations adopting hybrid ERP will fail to improve cost-benefit outcomes unless their cloud applications provide differentiating functionality. The concept of a single ERP suite that meets all of an enterprise’s needs is dead, according to the analyst firm, and has been replaced by a hybrid ERP approach that combines cloud point solutions with a smaller “core” of on-premises ERP function, such as financials and manufacturings. Gartner predicts that hybrid ERP environments will be the norm within five years. While it will be at least 10 years or more before the majority of organisations decide to flip ERP to the cloud, Gartner predicts there are industry segments where this will happen much sooner. The firm believes that service-centric industries, such as professional services, business services and digital media, have not been well-served by integrated ERP suites, which have tended to focus on product and asset-centric industries. Many have already moved key elements of application functionality to the cloud and there will be a greater likelihood that service-centric companies will flip the majority of their ERP functionality to the cloud within the next five years, earlier than the product-centric companies. With respect to its second prediction, while Gartner expects that most organisations will shift from monolithic ERP to a hybrid approach within five years, the adoption of cloud services for some components of functionality does not guarantee a reduction in the total cost of ownership (TCO). On the contrary, there is the potential of actually increasing the TCO. Hardcastle said that looking at the business value outcomes, the outlook is also worrying. Too many ERP investments fail to deliver business value and the hybrid approach may further dilute the focus on the value to be driven from such investments. The issue of legacy ERP suites has proven problematic for many large Australian organisations over the past several years. It is considered the norm for the deployment of this technology to run substantially over budget and over its deployment timeframe within Australia’s public sector — or even completely fail, as we’ve seen in examples such as Queensland Health’s masively botched payroll systems upgrade. Many of these projects related to new ERP installs or upgrades, with most featuring heavy customisation of the style that Gartner believes is going away. Examples of botched ERP deployments in major corporations in Australia are not hard to find, in addition; showing that many of the same problems exist across the public and private sectors. In general, I highly agree with Gartner’s analysis, and this represents precisely the trend we’re seeing in Australia. Huge, legacy ERP platforms are causing too many problems and represent large risks to many businesses. Smaller, nimber, niche alternatives, increasingly using cloud computing as their base, are going to become much more popular. One solid example of this can be found in the NSW Government, where NSW Trade & Investment is currently conducting a major ERP consolidation project using SAP’s Business ByDesign platform, hosted in the cloud. ERP systems going to the cloud is not a case for them going away, it is just shifting the work somewhere else. Depending on how the cloud solution is provided, it may limit customisation making it less desirable for some, or just be used to lock in a customer, which always leads to higher consulting/development costs. It does have the potential to force a better interface design though, by making each service have a clear interface, components can be replaced more easily. As is often the case, large projects suffer from making the requirements and or solution too complex, rather than breaking it down into simpler components with a clear and distinct purpose. The article mentions “flexibility” a lot. I believe much has to do with the inflexibility of rigid data models that don’t meet real business requirements, especially when real requirements continuously change as they seem to do these days. Cloud doesn’t intrinsically make apps flexible. Most current cloud-based enterprise apps are as inflexible as their on-premise counterparts. Based on the current crop of cloud-based apps, businesses are going to be as disappointed in cloud-based solutions. Possibly more so as fundamental data models conflict, making data integration more challenging. This is evident, for example, in the announcement last June by SalesForce.com and Oracle to better integrate their solutions “out-of-the-box”. I guess we’ll see soon enough if they can productize this integration. Knowing both these business apps, I have doubts. Most will…can only likely be superficial integration. There is also the specter of context integration as businesses come to finally realize that persons, organizations and groups play a variety of roles in interactions and transactions. They even play different business roles in different contexts. This will set the stage for significant context integration. Most business apps focus on parties to transactions and interactions in one role while another app addresses the same party in another role. Integrating the two will only lead to context collapse unless businesses do a better job of addressing context abstraction. Lastly, connecting objects (people, things, events) across cloud apps will be a challenge and will place a governor on businesses ability to play in the Internet of Things, or Everything. Before moving to cloud environment, which I do agree is a foregone conclusion, businesses need to seriously consider how are they going to make their apps context-aware and more graph database-like.